• 2 Markers 1 ball, 6 players. 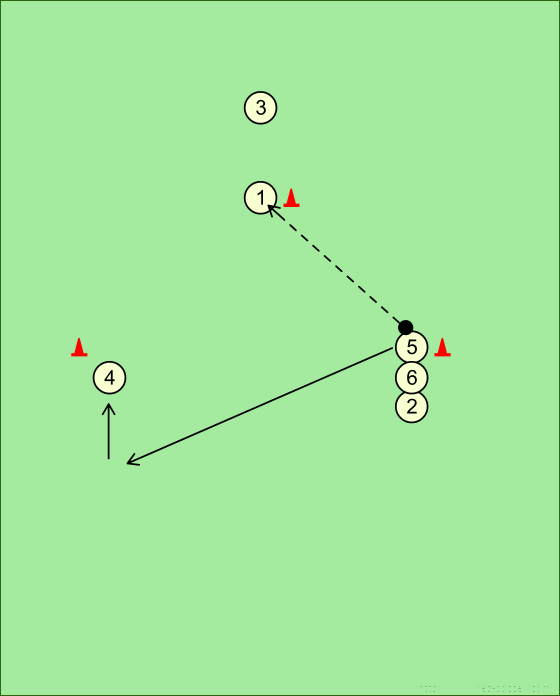 • So that players will understand that when they pass they have to move to a different area of the ground to find space where they can support their teammates. • So that children will understand that in football we have to create triangular passing rather than square passing. • Good run to create angles. 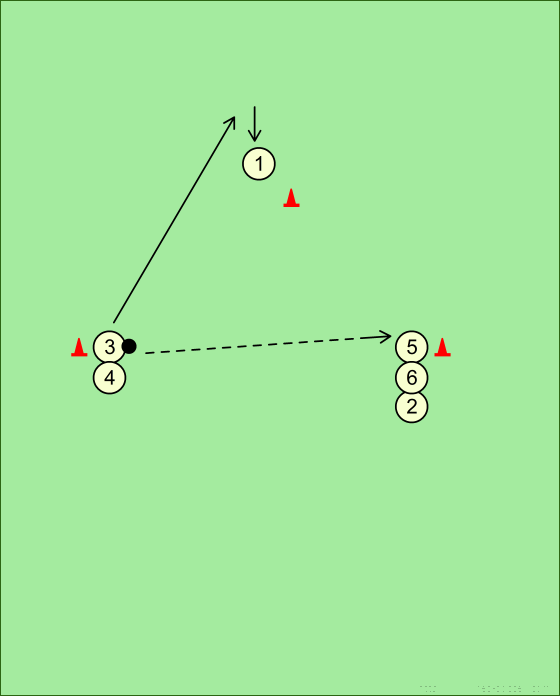 • Coach to monitor the distribution technique using the inside of the foot. 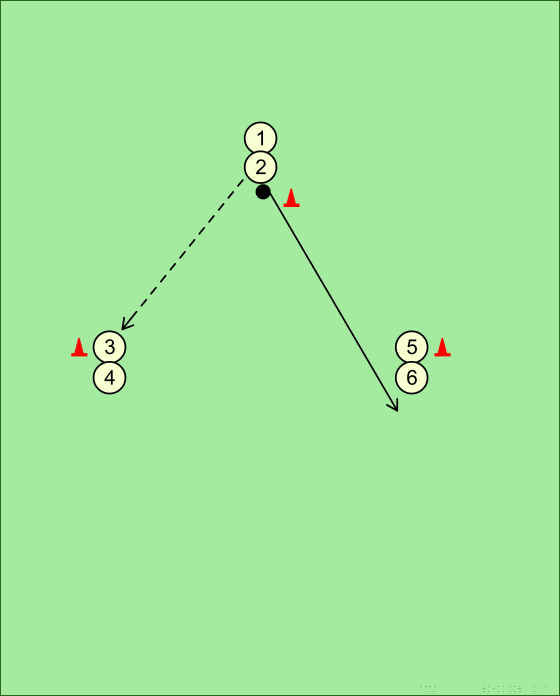 • Coach to monitor the good run.